Enjoy the sights and sounds of a soothing lighted falls in your next landscape project. Available in multiple colors, Colorfalls is an easy, virtually maintenance free way to add a water feature to your patio or backyard. 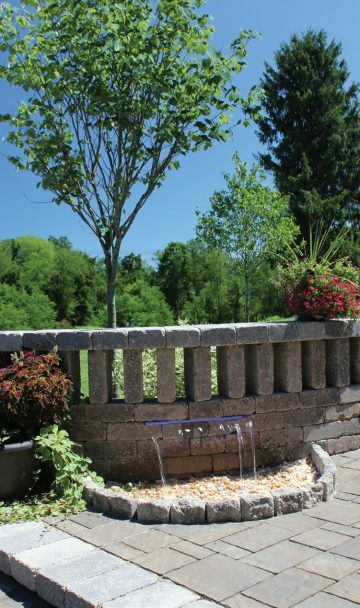 The Colorfalls system is specifically designed for use with hardscape materials, and is a perfect fit for incorporating into formal backyard patios and retaining walls. Colorfalls can add a breathtaking new dimension by introducing the element of water to your outdoor entertainment area. Colorfalls is available in several different colors to accent your project while bringing the relaxing sound of a waterfall creating your own backyard oasis, and it’s lighted so you can enjoy it both day and night. 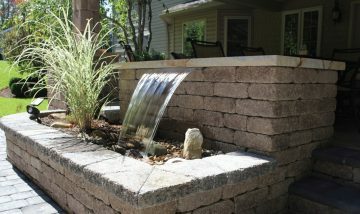 The 24” Colorfalls Kit comes with everything required to easily install it into your next hardscape project. 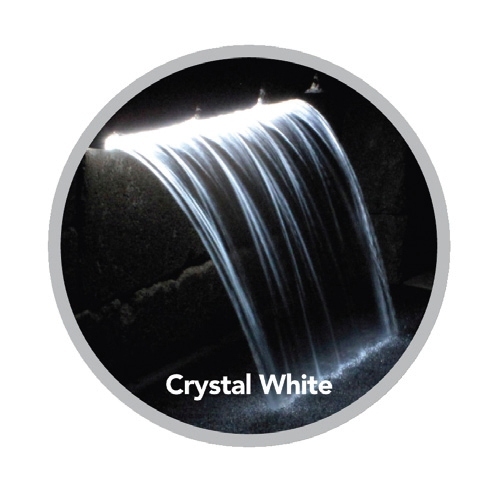 Water is recirculating and is virtually maintenance free. The kit includes a pump, power supply, pipe and fittings, basin, and L.E.D. 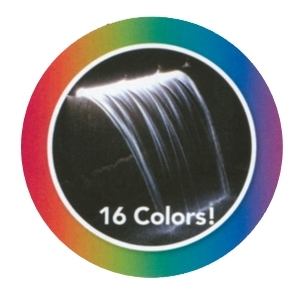 lighted falls head. Colorfalls is also available as a 12” or 36” kit by special order. Contact Bauer or your local Authorized Dealer for more information.